The Solia 1-1/4 flat iron features the Dynamic Alignment System to ensure perfect contact between your hair and the plates. The Solia 1¼" flat iron features the Dynamic Alignment System to ensure perfect contact between your hair and the plates. 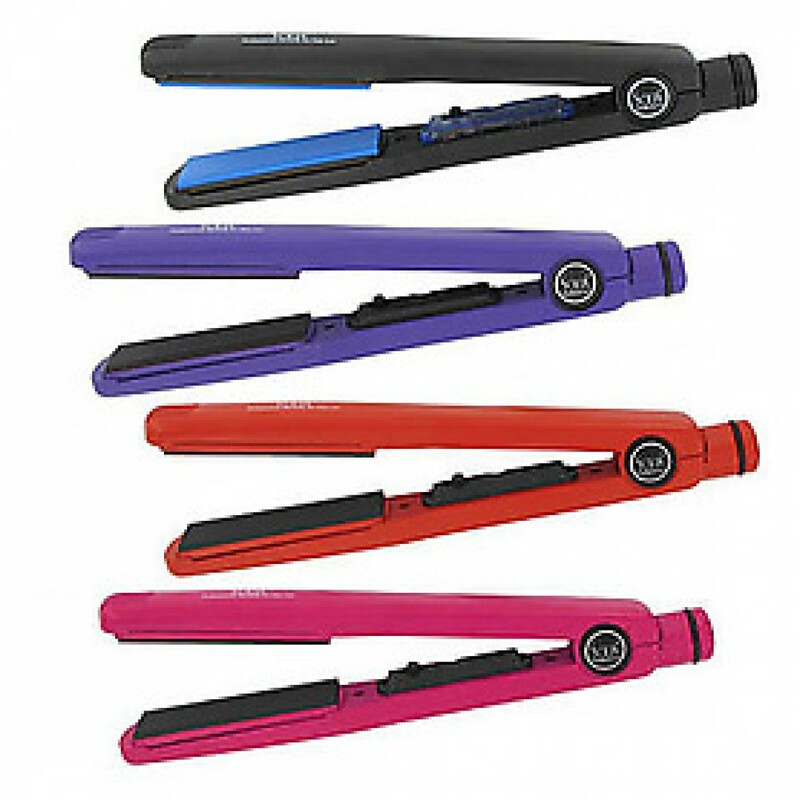 It supplies even heat distribution for true silky straight hair. Its ceramic/tourmaline ion technology will generate gentle far-infrared heat and extra negative ions to create the perfectly frizz-free hair without heat damage. Kiss bad hair days goodbye! Now available in classic black, pink, red and purple color editions. Tourmaline, a precious stone, generates up to 6 times more negative ions upon heating than traditional ceramic irons. The extra negative ions along with gentle far-infrared heat guarantee soft, smooth, frizz-free silky straight hair without heat damage. Solia's advanced design features patented Dynamic Alignment System: the plate pair self-adjust to provide perfect contact between your hair and plates, eliminating any damaging "hot spots" and "pressure points" so that the Solia can work through the hair smoothly without pulling. Straightening your hair has never been easier and more enjoyable! Ceramic/Tourmaline Ion plates give a shinier, silkier result than regular ceramic flat iron in lesser time. Ceramic/Tourmaline Ion plates emits up to 6 times more negative ion. Variable Temperature Control (170F - 400F): Works with all hair types. Ceramic heater with autosense technology provides instant even heat. 1-1/4 inch plate width, the most popular size: wide enough for any hair length and hair types, yet narrow enough for bangs.